They also supported the Delhi University Teachers' Association's (DUTA) opposition to the issue of a UGC circular on faculty reservation mechanism for universities. New Delhi: Cutting across party lines, political leaders today called for an ordinance that says teachers' appointments would take place as per the existing reservation roster. The DUTA held a press conference today that was attended by representatives of various political parties. 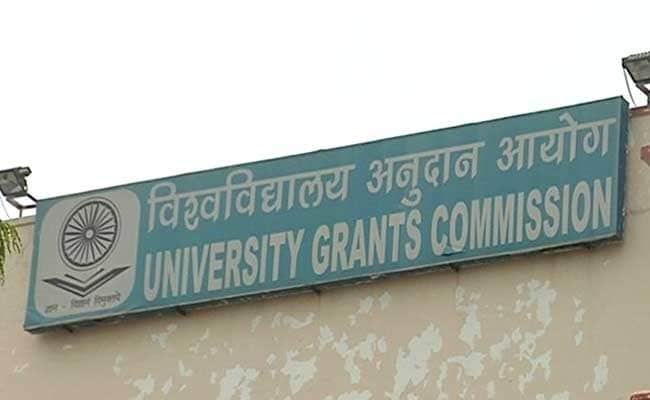 Following an Allahabad High Court order - upheld by the Supreme Court - the University Grants Commission (UGC) had on March 5 announced a new mechanism for implementing faculty reservations, which is calculating total posts department-wise rather than institution-wise. The UGC had said that its new reservation formula was in response to a direction of the high court in April last year. It is believed that the move would cut down the number of posts available for SC and ST candidates. The government has filed a special leave petition (SLP) to undo the move and it will come up for hearing next month. "Till the Supreme Court gives its final ruling, restore status quo ante. That is necessary and that can be done. If an ordinance is required for it, bring in an ordinance," CPI(M)general secretary Sitaram Yechury had said. Supporting Mr Yechury's views, AAP leader Atishi Marlena said the Delhi government will be a party to the SLP. "If the matter does not come up in the Supreme Court on July 2, it is my appeal to everyone to build pressure on the Centre government to bring in an ordinance to ensure that the appointments for the upcoming academic session happen according to the existing rules. "We also have our own higher education universities and they are also being impacted. The reservation policy should not be narrowed down to an extent that it becomes ineffective," she said. Congress MP Sushmita Dev said she found it "shocking" that the SLP came at such a late stage and questioned the government's intention over not staying the roster. BJP MP Udit Raj targeted the judiciary and said more than the parliamentarians, who were elected by the people, it are the judges who are making laws. Others who voiced their views on the issue were RJD's Manoj Jha, CPI's Amarjeet Kaur, SUCIC's Pran Sharma, G Devarajan from the Forward Bloc and Kavita Krishnan from CPI(ML). They appealed to the president to intervene and resolve the crisis, so that the Constitutional rights of the marginalised sections are protected, ad-hoc teachers are reappointed on the basis of the old roster and permanent appointments resumed at the earliest. All current ad-hoc teachers have been appointed according to the 200-point college/university-wise roster, which is to be discontinued, according to the March 5 notification. While the press conference was on, some ABVP members protested outside the venue against the evaluation boycott being carried out by the DUTA. The DUTA had begun the evaluation boycott from May 9 to oppose the UGC notification and the probability of some of the DU colleges being made autonomous colleges. However, some student bodies --the All India Democratic Students Organisation, All India Students Association, Disha, Krantikari Yuva Sangathan, Parivartankami Chhatra Sangathan, Students' Federation of India and Democratic Students Union --have extended support to the teachers' body in their fight.